Sure there’s always something to complain about. Life is so unpredictable and things go wrong all the time. Small irritants fester, emotions get the best of us, anger fills the void, we point and lay blame. It happens. Today, I prefer to focus on the positive, to offer a word of thanks. And appreciation. Our community is made up of diverse people, who don’t always agree and may not even be on best terms with one another. But one thing everyone can find consensus on is in expressing thanks to our amazing volunteers throughout Cote saint-Luc. They are the backbone of our civic organization and the driving force of our city. Thank you so much to our star power volunteers at EMS. For your dedication, your heroic efforts and your sense of duty and caring for all of us. Thank you to our committed and generous volunteers at vCOP for your time and perseverance in patrolling our city again and again, keeping us safe. Thank you to our local Public Security agents, police officers at station 9 and firefighters at station 78. You are all the front-line resources keeping us safe and sound. Thank you to all CSL residents for whatever efforts you make for our community, and the special place it has been and will continue to be. Let’s agree to be helpful and hopeful but not unrealistic, to be polite and neighbourly rather than heaping scorn and above all, thankful for whatever we have, as a community. That’s right, on November 28, the Festival of Lights and the Festival of, well, Thanks, is converging, spawning anything and everything from turkey-stuffed donuts to a plethora of cross-holiday menorahs. When Mayor Anthony Housefather says he takes his responsibilities of building close relationships with all levels of government very seriously, very few people realize he includes bi-lateral relations with our American neighbours as well. 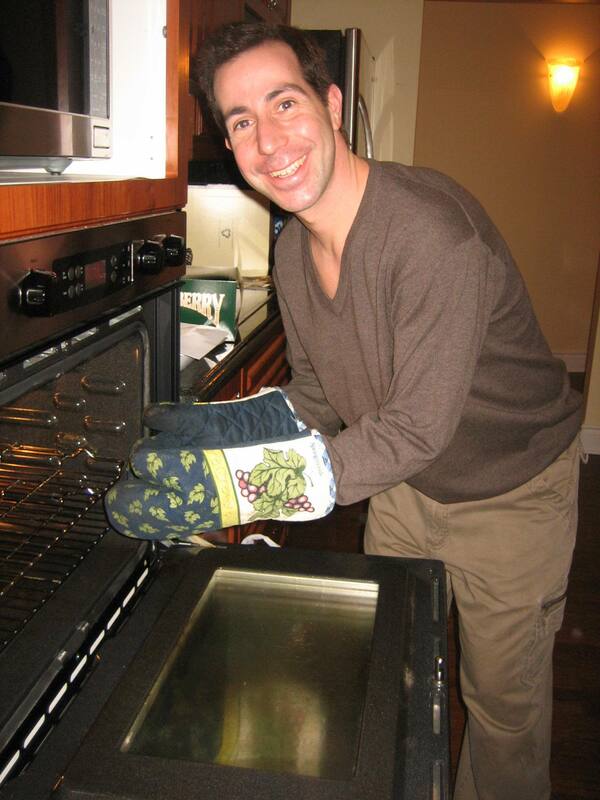 Another secret about Anthony Housefather – he’s a very good cook. His multifaceted interests in American politics, culinary skill and having a good time made for an excellent excuse to celebrate American Thanksgiving in Cote Saint-Luc. Anthony, as he prefers to be called, cooked a massive turkey and invited over close friends for a rather unorthodox cultural gathering – at least north of the 49th parallel. Good friends, good food and good wine were all that was needed to give thanks around Anthony’s dinner table this evening. From Cote Saint-Luc to our American neighbours – Happy Thanksgiving. The City of Côte Saint-Luc goes to great lengths to accommodate its residents and guests who park on city streets during civic and religious holidays. The city normally prohibits parking on streets between 3am and 6am and residents must call Public Security to request a temporary parking permit. However, the city grants a general overnight parking tolerance on many holidays—particularly those with out-of-towners visiting or when a religious observances makes it difficult to move one’s car. You do not need to call Public Security and you do not require any pass to be displayed in your vehicle from Friday, September 18 at 5pm to Tuesday, October 13 at 8am. La Ville de Côte Saint-Luc déploie de grands efforts pour accommoder les invités des résidants qui stationner leur véhicule dans les rues de la ville pendant les fêtes légales et religieuses. La ville interdit normalement le stationnement dans les rues de 3 h à 6 h du matin, et les résidants doivent téléphoner à la Sécurité publique, au besoin, pour demander un permis de stationnement temporaire. Cependant, la ville accorde une tolérance générale concernant le stationnement de nuit pour certaines fêtes, particulièrement celles pendant lesquelles il y a des visiteurs de l’extérieur ou lorsque le respect des lois religieuses rend difficile d’avoir à déplacer sa voiture. Il n’est pas nécessaire d’appeler la Sécurité publique et vous ne devrez pas obtenir de permis spécial à mettre dans votre véhicule pour vous garer du vendredi le 18 septembre à 17h au mardi le 13 octobre à 8h. Note : Veuillez noter qu’il est interdit de stationner devant les bornes fontaines, dans les voies réservées aux véhicules d’urgence, devant les entrées de garages, dans les zones où il est interdit de s’immobiliser ainsi qu’aux endroits où le stationnement est interdit.